Make It Cheaper helps Harvey Norman save more money on their business electricity bills, again! The multi-site team at Make It Cheaper have worked with Michael Mecham and his team at Harvey Norman to secure a competitive energy deal for dozens of Harvey Norman's sites. Make It Cheaper are delighted to have been able to take the administration burden of shopping around for a competitive energy deal away from the Harvey Norman team. “Harvey Norman has engaged Make it Cheaper on two occasions to procure energy contracts for small (sub 160MWh per annum consumption) sites in Victoria, New South Wales, ACT, Queensland and South Australia. 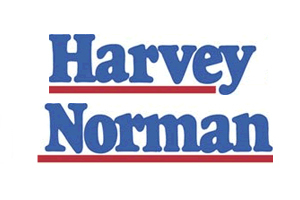 On each occasion the process has been simple and straightforward for Harvey Norman and the pricing achieved has delivered us savings across this portion of our portfolio. Our purpose at Make It Cheaper is to save Australian small businesses time and money on their energy costs, once again we are glad to be making a difference.